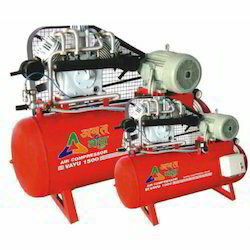 We manufacture and supply Air Compressor. Designed by using latest technology, the offered double stage air compressor is known for its consistent performance, thermal stability, less power consumption and compact design. By following total quality management, we assure that the quality of the offered double stage air compressor is always maintained.